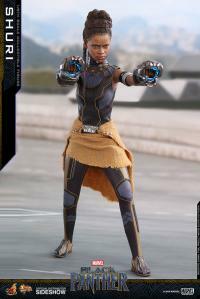 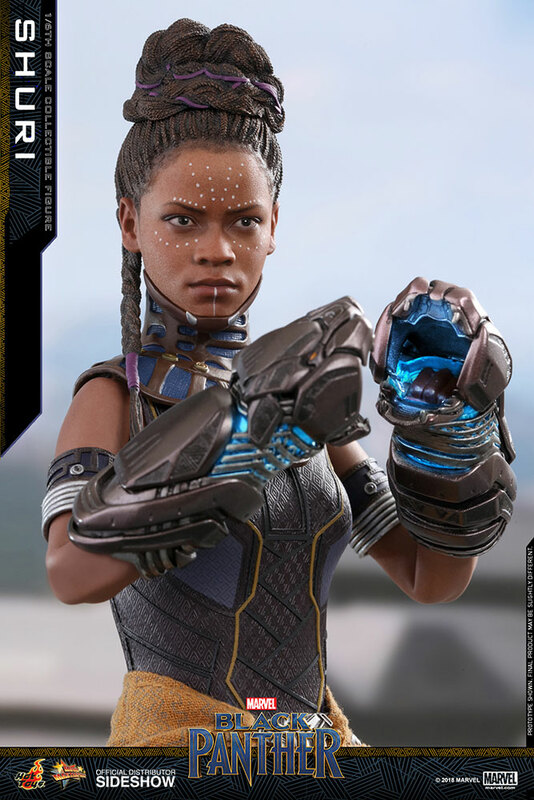 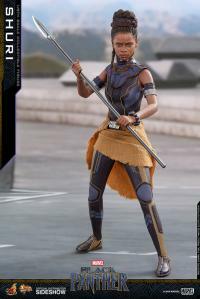 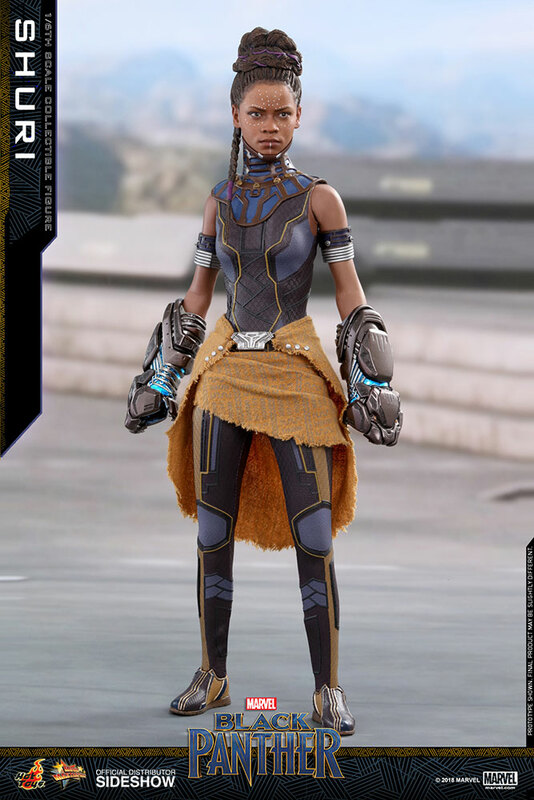 The Princess of Wakanda, Shuri, is the leader of the Wakandan Design Group responsible for developing this African Nation’s modern technology. 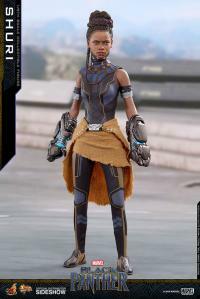 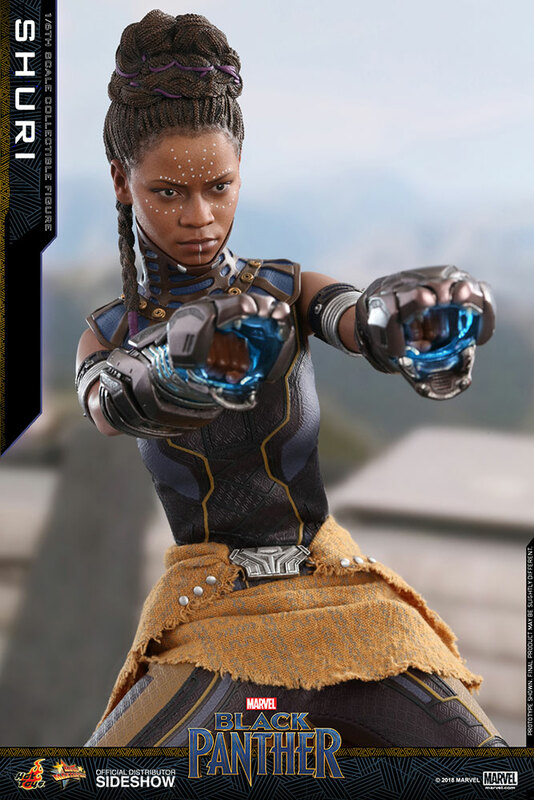 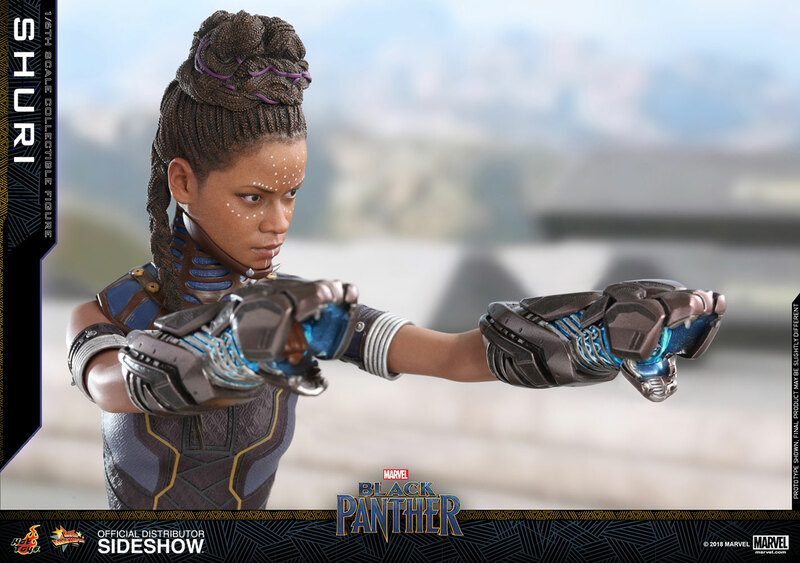 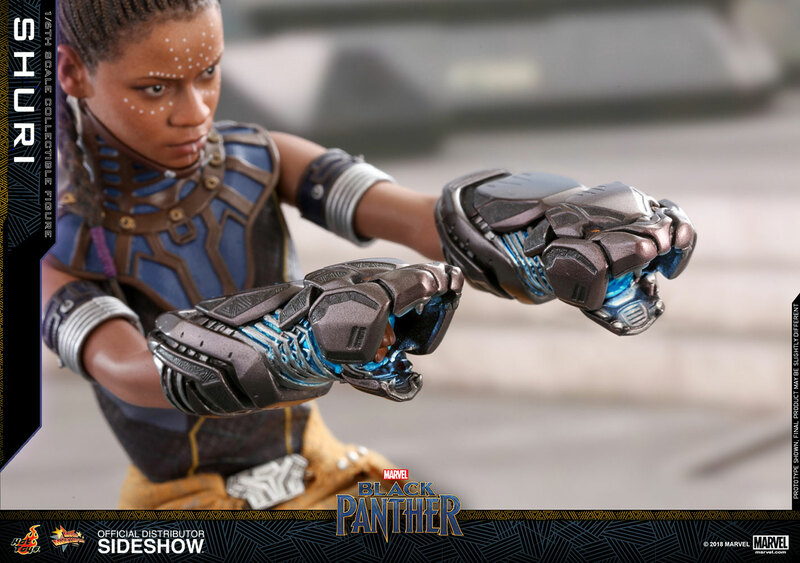 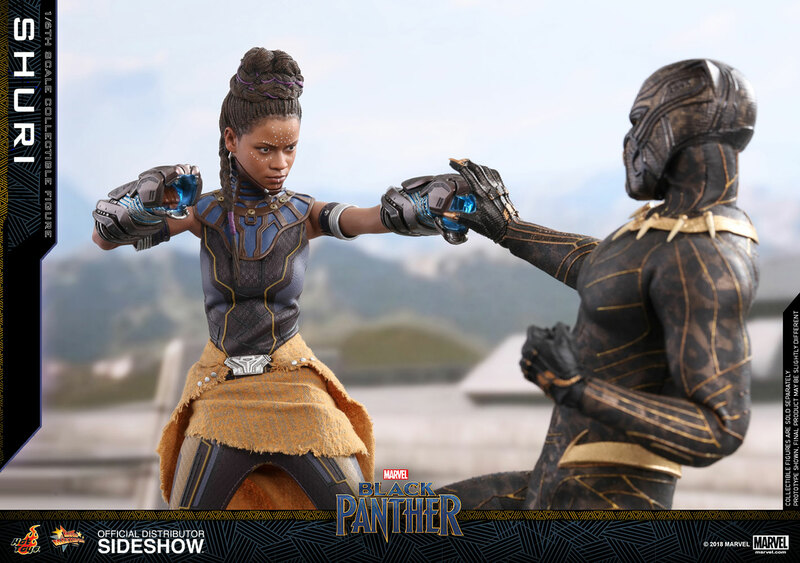 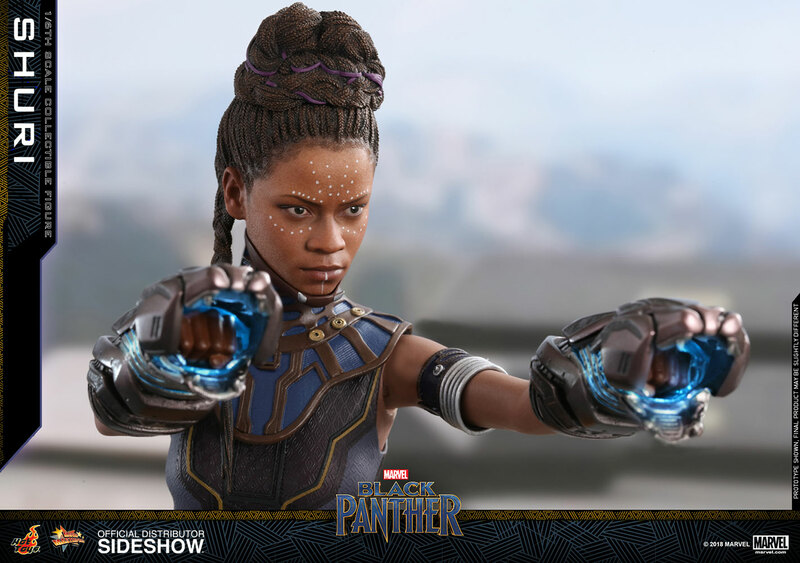 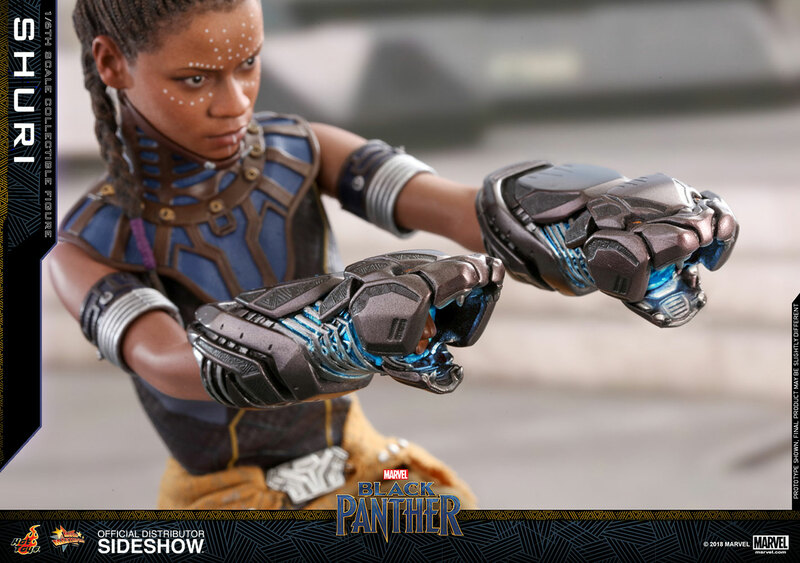 When the young King T’Challa is drawn into conflict that puts his homeland Wakanda and the entire world at risk, Shuri proves herself to be great backup creating a new security system and weapons, including the Panther Habits and her cool looking panther-like gauntlets. 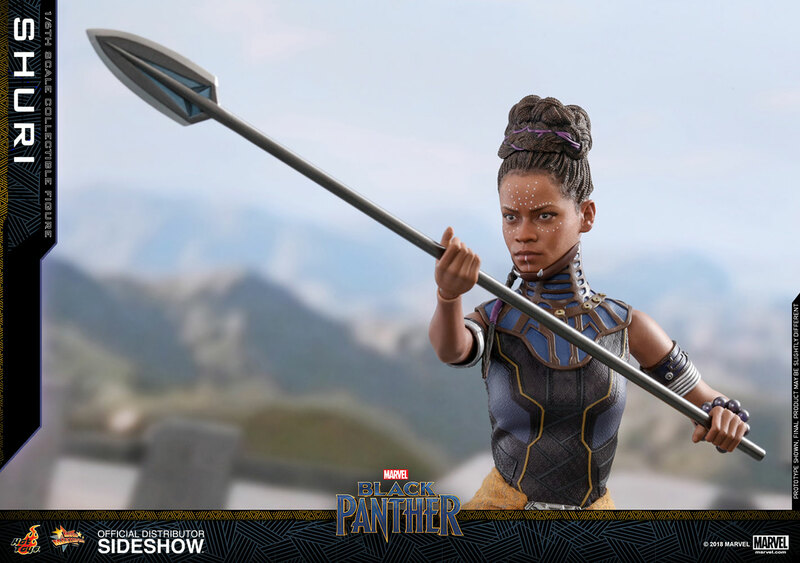 Sideshow and Hot Toys are proud to present T’Challa’s innovative little sister – the Shuri Sixth Scale Collectible Figure from Black Panther. 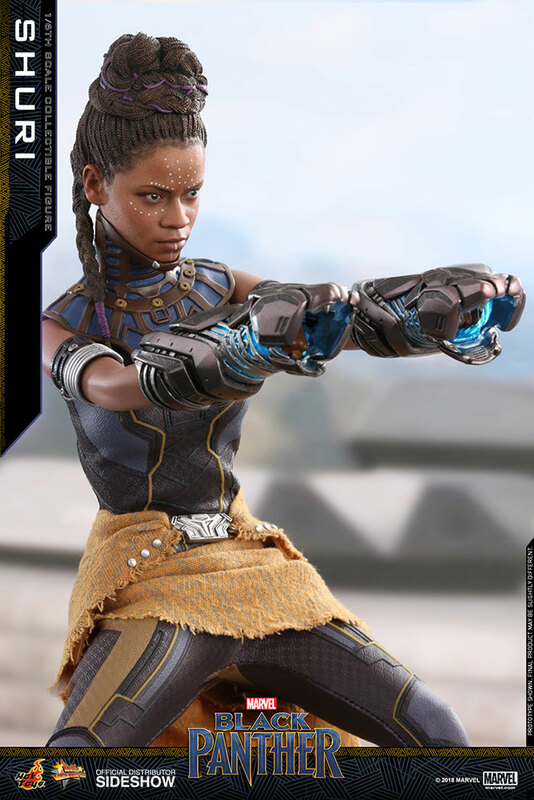 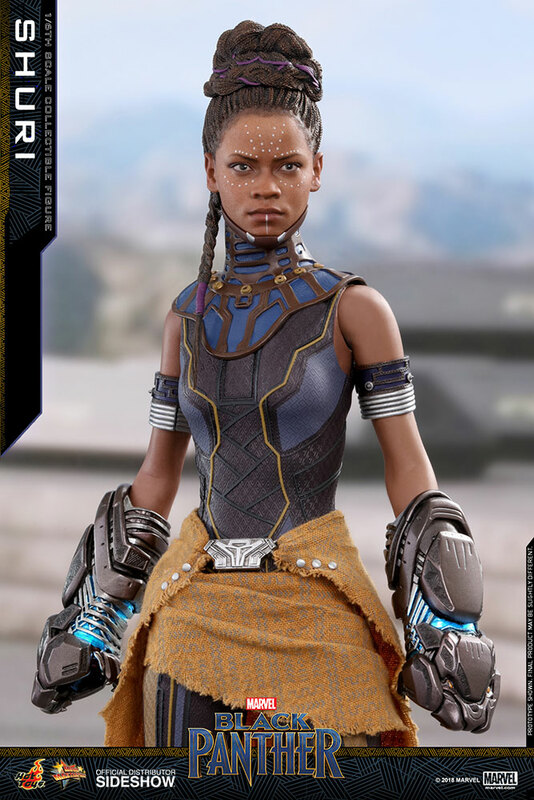 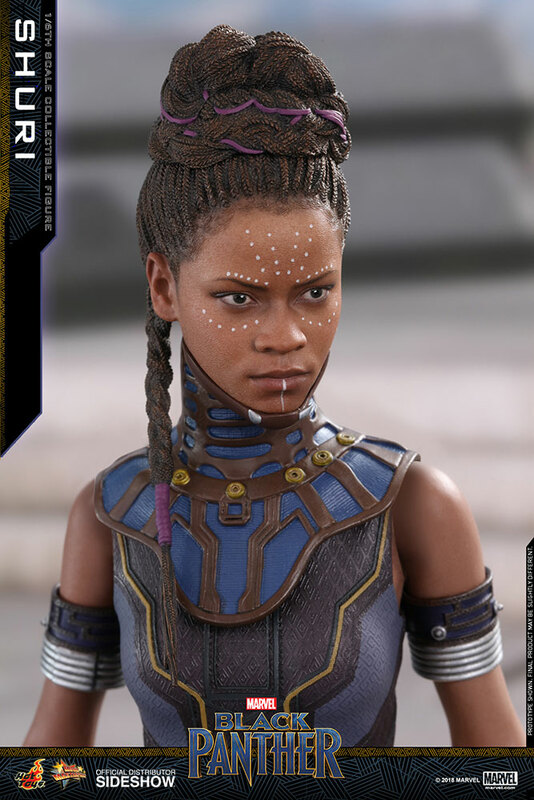 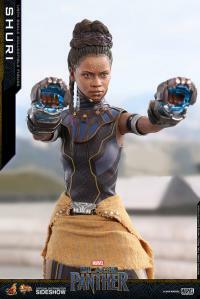 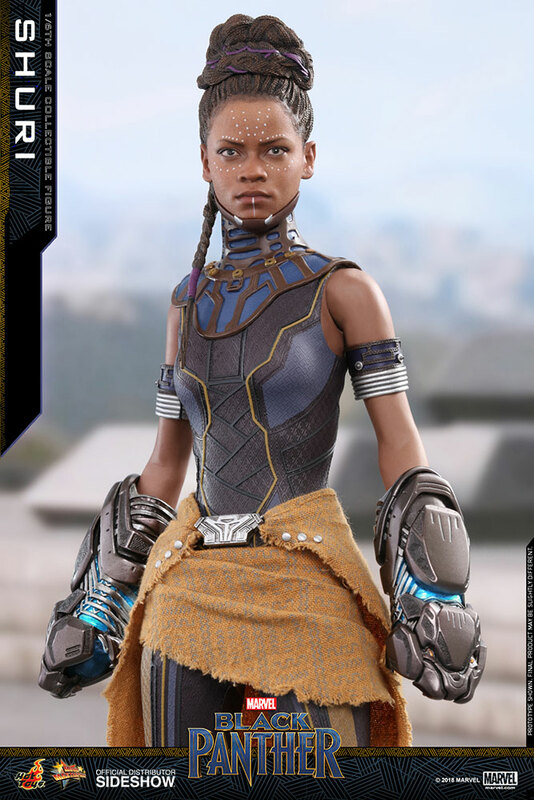 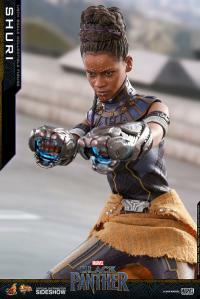 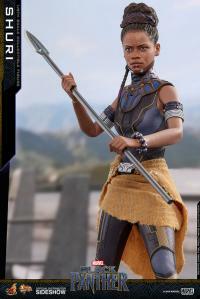 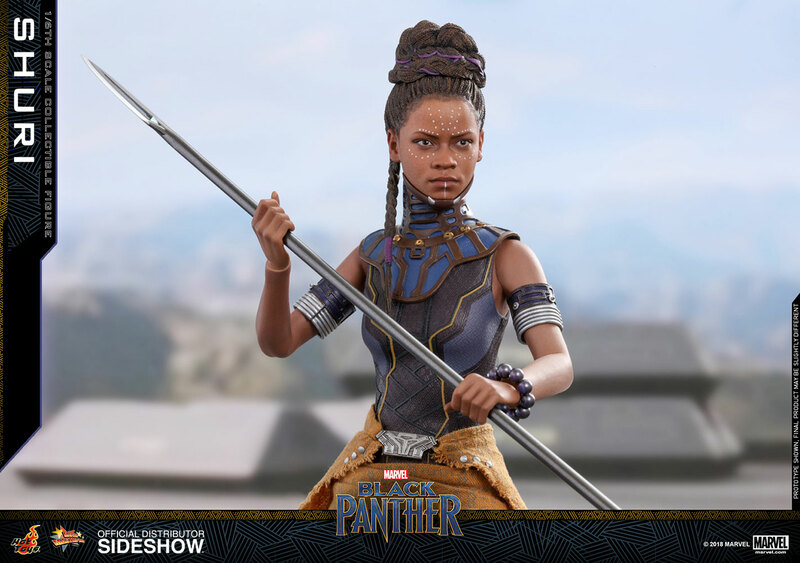 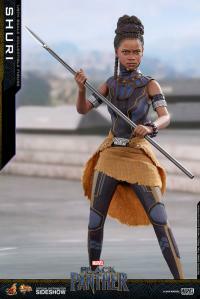 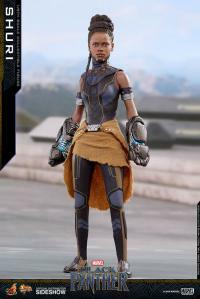 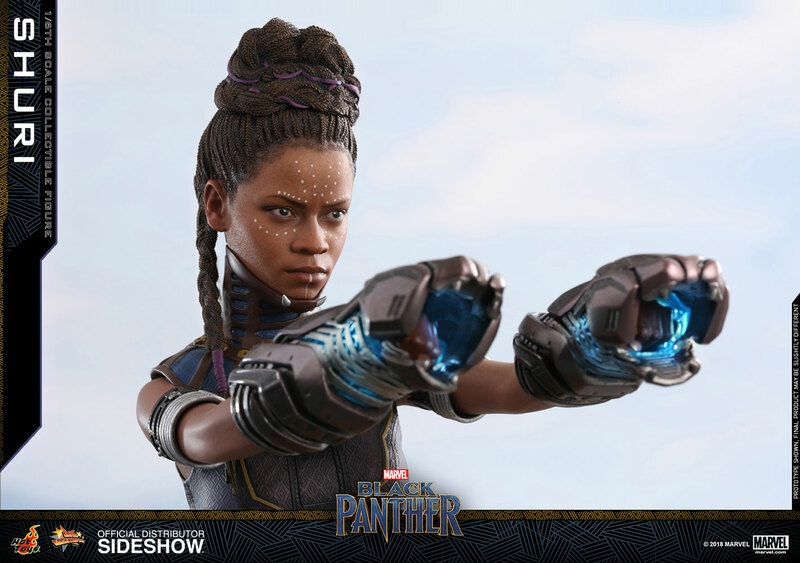 Beautifully crafted based on the appearance of Letitia Wright as Shuri in the movie, the highly-accurate collectible figure features a newly developed head sculpt with detailed hair sculpture, a newly developed body, and an adorned elaborate new battle suit and neck ring. 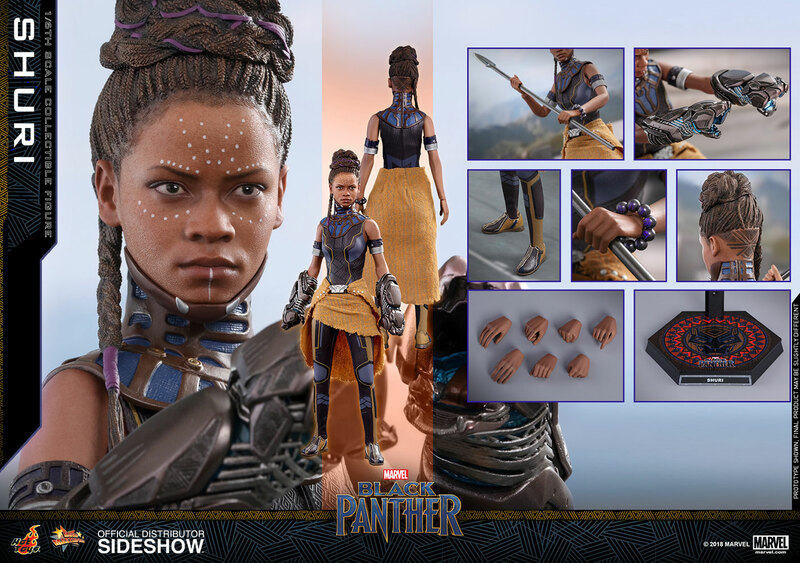 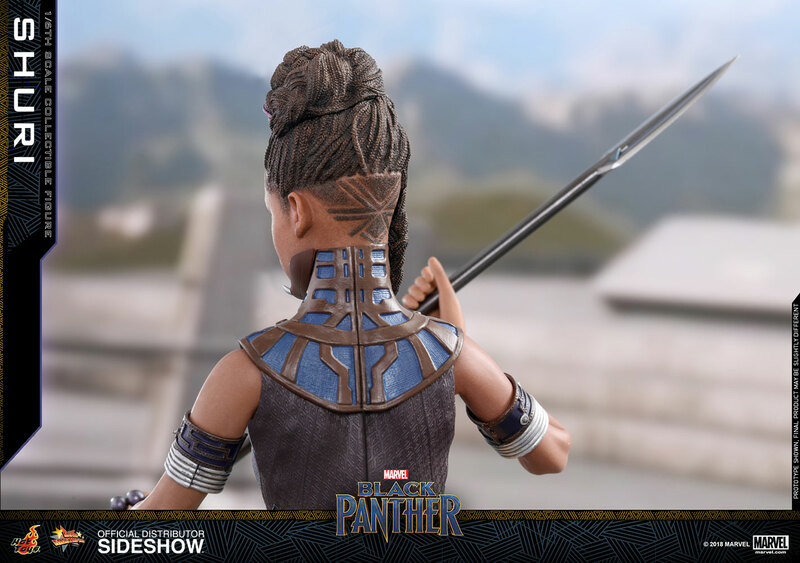 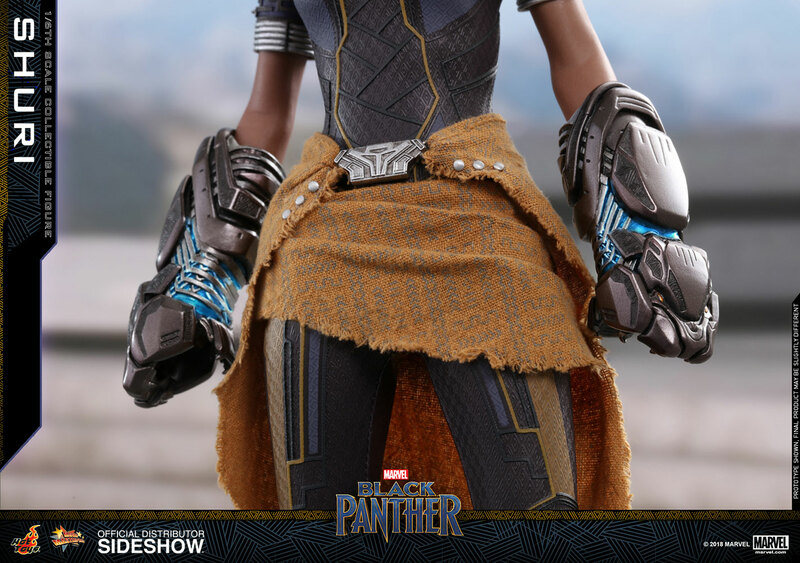 The collectible figure specially features a Wakandan pattern sash, a wide range of weapons and accessories including a pair of LED light-up Vibranium Guantlets, a spear, a Kimoyo Beads bracelet and a movie themed figure stand! 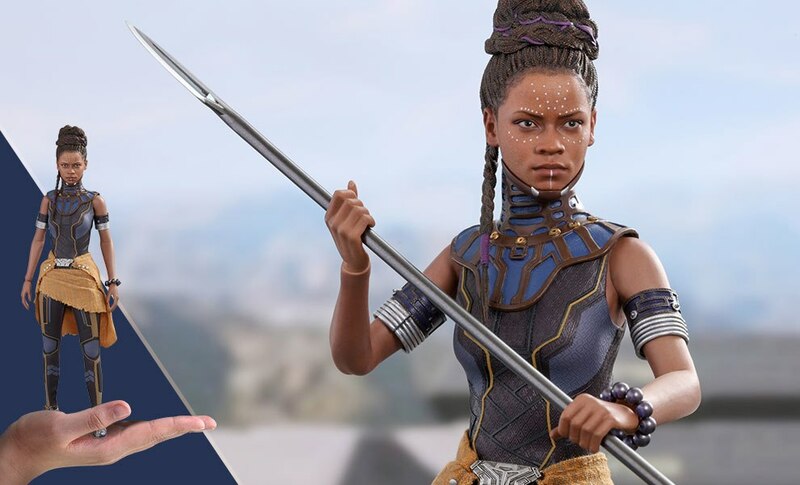 Pay as little as $51.25/mo.